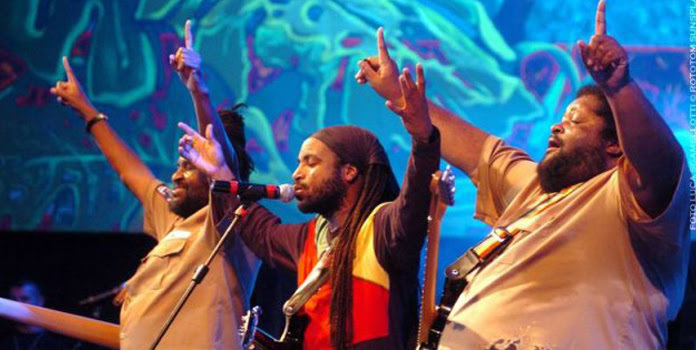 All-time favourite Jamaican reggae group Inner Circle will tour Papua New Guinea for the first time in June 2014. Fans in Port Moresby will be treated to a feast of the best reggae music when Inner Circle takes to the stage at the Lamana Gold Club on June 21. Inner Circle, formed in 1968, was originally called The Inner Circle Band and has recorded 25 albums in total over four decades. These include Bad to the Bone, The Best of Inner Circle, Big Tings, Bad Boys, Everything Is Great, This Is Crucial Reggae and Speak My Language just to name a few. Known for hit songs Bad Boys, One Way, Sweat, Rivers Of Babylon, Bad to the Bone and Da Bomb, the band won the Grammy Award for Best Reggae Album in 1993. Members include Skatta, Ian Lewis, Roger Lewis, Lancelot Hall, Bernard "Touter" Harvey. The band achieved major success in the 1970s with Jacob Miller as their lead singer, but split up after his death in 1980. In 1982, with American guitarist/vocalists Rick Hunt and Michael Sterling, they reunited and released the album 'Something So Good'. The band's next album, 'One Way' in 1987, included one of their biggest hits, "Bad Boys", which was re-recorded for their 1989 album 'Identified' and became the theme music for the Fox TV series COPS that year. The band's 2009 album 'State of Da World' featured contributions from an array of reggae stars including Damian and Stephen Marley, and 2012 album duets featured collaborations with Peetah Morgan, Ali Campbell of UB40 and Gramps Morgan. Fan Mary Kalama is excited and looking forward to the show and to meet the band. "It's going to be fun and it's good that another reggae sensational band is coming to town and I am looking forward to see them perform live hit songs 'Rapped up in your Love' and 'Rock with You',"